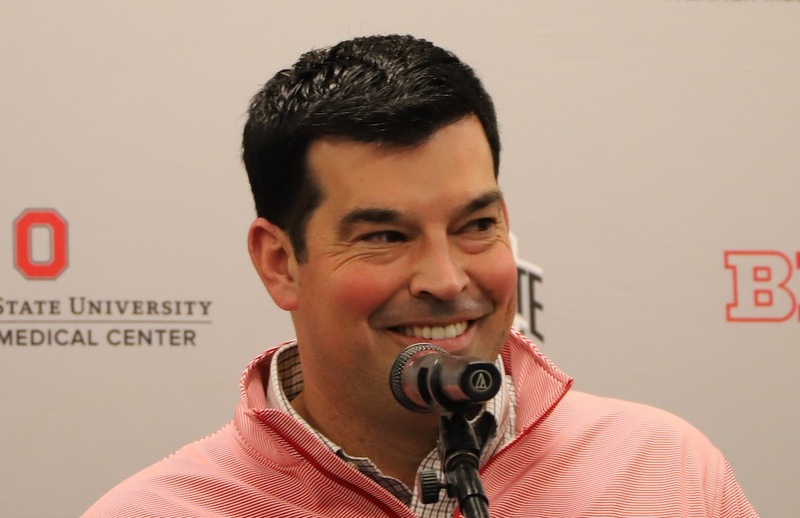 Ryan Day was officially named Ohio State’s next head coach at a press conference at the Fawcett Center on December 4, 2018. This came at the end of a tumultuous season for the Buckeyes, including the Zach Smith scandal, a three-game suspension for head coach Urban Meyer, and then constant rumors about the status of Meyer’s health. The Early Signing Day was just 15 days away. The top prospect in his home state was reportedly leaning toward spurning the Buckeyes and signing with their arch-rival instead. The offensive line class was concerning at best. 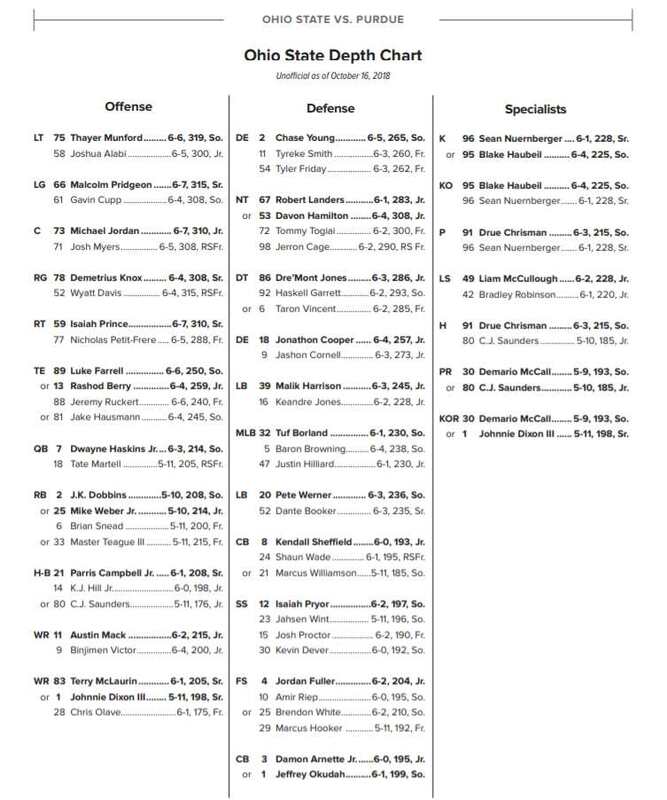 A thin depth chart paired with two solid commitments and a shaky one was a major red flag. Two months and two days later Day stood at a podium once again, just across the street at the Woody Hayes Athletic Center, with a smile on his face. He had kept 5-star prospects Harry Miller and Garrett Wilson in the class. He had enticed that in-state 5-star, Zach Harrison, to join them. He had added a 5-star transfer quarterback from Georgia, Justin Fields. He had kept the vast majority of the players committed to the Buckeyes on December 4 in the class. Oh, and he had flown 9,000 miles round-trip to secure a highly-ranked player who hadn’t even really been considering the Buckeyes in December. But 4-star offensive lineman Enokk Vimahi signed with the Buckeyes on Wednesday, barely a month after first being offered a scholarship to OSU. Day and his staff had to sell a kid from Hawaii on traveling to snow-covered Ohio in January to see the school in person. Then, in the midst of a hectic final week before Signing Day, the head coach returned the favor with a home visit. It wasn’t easy, but it was part of what needed to get done to fill a big hole on the roster. “Flying out to Hawaii, staying for three hours, getting on a redeye back to Columbus was part of that plan,” Day said Wednesday. The plan also included landing 3-star tackle prospect Dawand Jones, a raw but immensely talented prospect just scratching the surface of his potential. He signed with the Buckeyes as well. It wasn’t perfect – quarterback Dwan Mathis flipped to Georgia, defensive back Jordan Battle signed with Alabama, and Doug Nester ended up with Virginia Tech instead of OSU. But Day and his staff did a solid job not only holding the class together through the switch, but building on that foundation. “I think the biggest challenge early on is getting to know everybody. Then when the staff got put into place, we still wanted those guys to make sure they built relationships with 2019s. The loyalty there was off the charts, the families we made connections with, recruiting, has been awesome,” Day said. The group ranked only 14th in the 247 Composite rankings, far lower than most recent Buckeye classes. But that was a function of its small size, not the players in it. That meant that while Michigan signed 26 players, and Penn State added 23, the Buckeyes signed just 17 players this year. That’s tied for the fewest of any team in the top 60 of the 247 Composite. The class finished third in the nation by average player ranking, behind only Alabama and Georgia. That’s right around where Meyer’s classes typically ended up. Day said the quality of the class, and also the stability within the existing roster, were a testament to the program on the whole. And he may have thrown a little shade at a certain divisional rival in the process. “When you look at what we’ve done as a culture since August, with the coaching change, we’ve only had two guys leave the program, Keandre Jones, Tate Martell. One was a grad transfer, one a quarterback. When you keep the retention like that, it shows about the culture in the coaching change. 2. His success to keep and attract top talent after being named head coach. 3. His knack to fill holes,especially on the OL with recruits that would seem to be a bit more difficult to land.